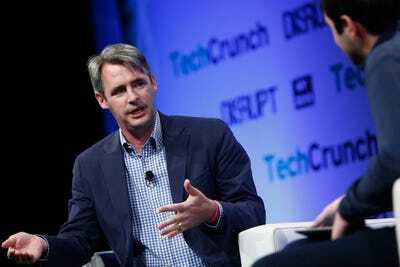 Flipboard, the magazine-style curation app, is about to turn profitable “reasonably soon,” the company’s CEO Mike McCue revealed to Business Insider on Monday. Speaking to Business Insider at the Cannes Lions advertising festival, McCue said it’s all down to “class over mass” when it comes to its advertising model. 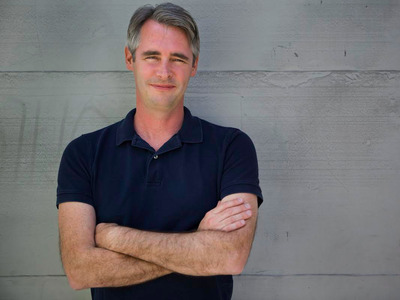 Like many other web companies, Flipboard makes its money by selling ads. But unlike other platforms, which allow marketers to buy ads using automated tools — known as “programmatic” advertising — the curation app is also careful to also curate its advertisers. You won’t see ads on how to trim your belly fat on Flipboard, but you will see promoted stories, videos, and magazine-style full-page ads from brands like Rolex, Starbucks, Apple, Porsche, and Merrill Lynch. 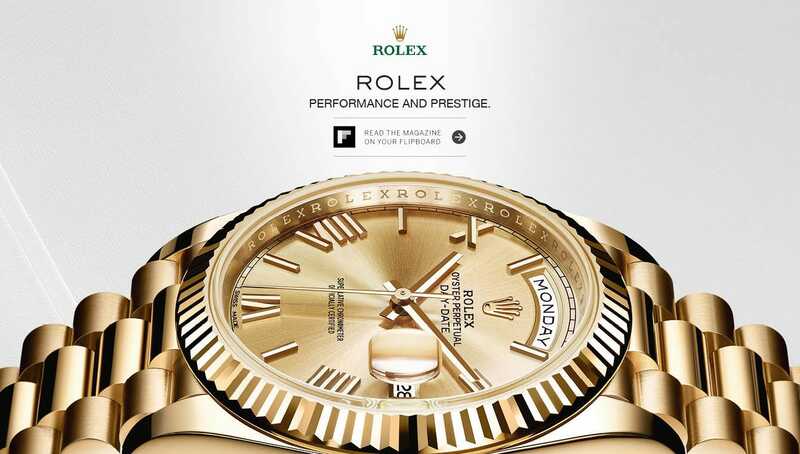 “Rolex does not want to be adjacent to a belly fat ad and that is crucial: Who are your fellow advertisers? It actually matters. Advertisers want to be adjacent to high-quality content and high-quality brands,” McCue said. Last year, Instagram opened up its advertising API, opening up the floodgates for all types of brands — big and small — to be able to place ads within the app. Media buyers reported spending on Instagram immediately rocketed as a result, however some in the industry have questioned whether Instagram has been able to maintain the magazine-like quality of its advertising offering now everyone can advertise there. 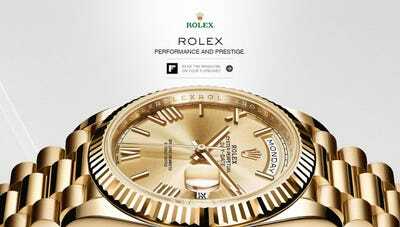 FlipboardA full-screen Rolex ad, as it appears on Flipboard. Equally, Flipboard wants to make sure its ads look luxury to suit its roster of high-end advertising. Flipboard took its design cues from print — including full-page ads and the idea of pagination. McCue thinks the rise of ad blocker usage has come from “a lack of respect for people” when it comes to monetizing content online. “A lot of this is to do with the way ad products work; they were created by geeks in Silicon Valley, not by thoughtful designers and people who understand how you do creative. I think now the industry is starting to realise what’s important and become more respectful of people and creative,” McCue said. Flipboard isn’t alone in offering a mobile curation tool that allows people to pull in the latest news from their favourite publishers and social feeds. Nuzzel is one example. It creates a feed based on what the people you follow are sharing on social media and what their friends are sharing. Lots of people also get their daily dose of what’s going on in the world from Apple News — a news curation service that came pre-baked into iPhones with its iOS9 update last summer. McCue said Flipboard got plenty of warning Apple News was coming and it hasn’t been detrimental to his business. Flipboard also comes pre-installed into Microsoft, Huawei, and Samsung devices (outside Europe). Apple also isn’t focused on driving the advertising ecosystem — as demonstrated by the shutdown of its iAd division — McCue said. “[The launch of Apple News] has had no impact in terms of engaged users and we have been big partners — they usually feature us when there’s a big release, still,” McCue added. McCue is enthused by the fact that JPMorgan led a $50 million funding round in Flipboard last year. It brought Flipboard’s total funding to $210.5 million and valued the company between $800 million to $1.32 billion, TechCrunch reported. Brian Ach/GettyFlipboard CEO Mike McCue. McCue said he tried to bring the JPMorgan in during Flipboard’s earlier financing because the “those guys are phenomenal.” So when they signalled an interest, even though Flipboard had “a lot of cash in the bank,” McCue jumped at the opportunity to get JPMorgan on board. As for what he’s planning, McCue is tight-lipped, but he hints that new product and ad announcements are coming in the fall and early summer. “We are just getting warmed up,” McCue said.